For Invisalign in Keller, Fort Worth, Arlington, or Burleson, Visit Us Today! 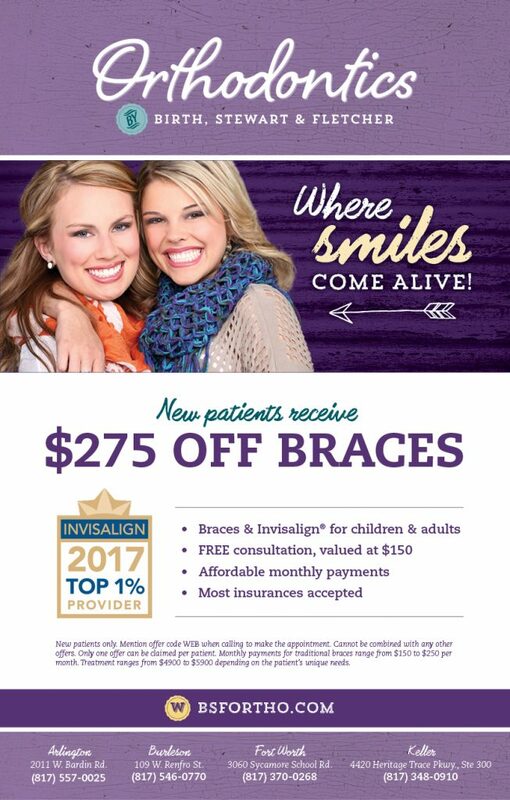 In the Metroplex, we feel there is no better choice for you than Orthodontics by Birth & Fletcher. Not just because we say so, rather because so many of our patients feel that way and because we are a Top 1% Provider of Invisalign® in the world. Please call us today for a free consultation to see if this treatment is best for you!